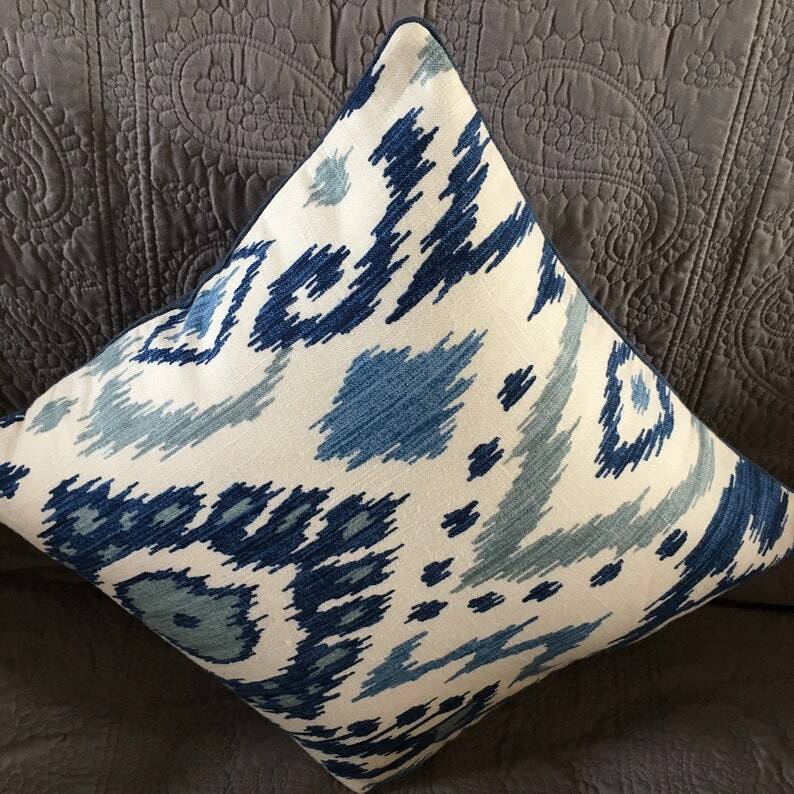 Smaller 17 inches square decorator pillow cover perfect for an accent in your decor. The pics show the white as cream, but it’s really white background. The blue is between navy and denim in color . Lovely Ikat print. Invisible zipper closure. 2 available. Dry clean only. Inserts available in separate listing.